My kids love to cook, and Easter is a great time for them to make some sweet goodies to share, but while my kids love to bake stuff, I am not always so into it. Ok, let’s be totally honest… often baking with my kids is the last thing I want to do, especially when I could be enjoying a nice long, relaxing, Easter weekend! It’s so much quicker and easier, and less messy, to just do it myself, not to mention the fact that there is no one arguing over who gets to stir or lick the spoon. If my kids bug me enough I usually give in and we bake something together, but not this year. 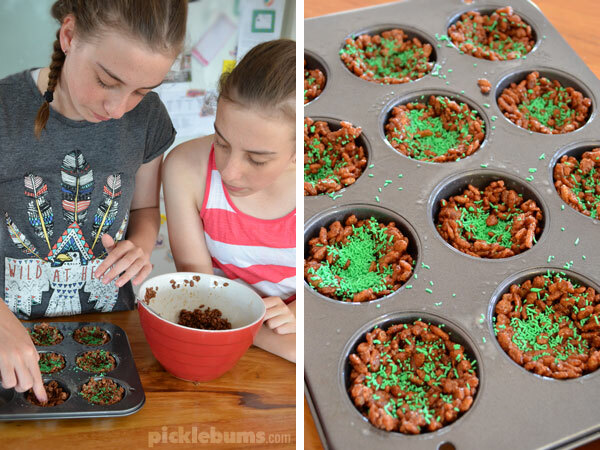 This year my kids will be making a fun Easter treat, but I won’t be, because this year I have a recipe that they can cook entirely on their own! 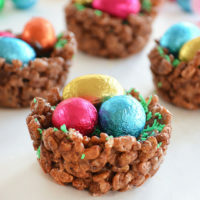 These chocolate Easter nests are super simple to make, my big kids can make them without any help at all! They only have three main ingredients – just coco pops, mars bars, and butter. There is no oven or stove involved, just a few simple steps to put them together. If you can use the kitchen scales and the microwave you can make these. They’ll leave your hands, and your kitchen a bit, ok a lot, sticky, but they taste delicious and would make a great Easter gift, so that makes up for the mess! 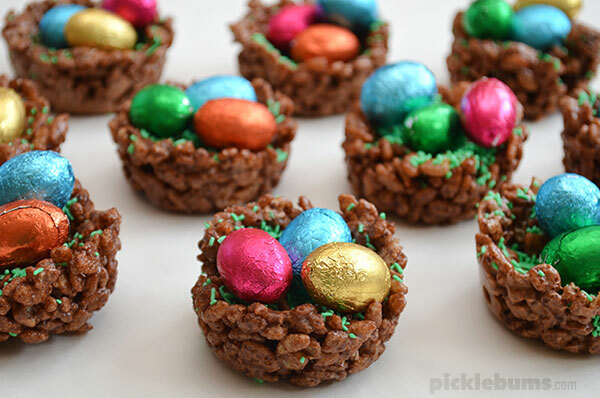 These Chocolate Easter nests are an easy and fun recipe to make with your kids. Use cooking spray or butter to coat the inside of a muffin tin, make sure you grease each cup really well so your nests don't stick. Chop the butter and Mars bars into small pieces and place them in a large microwave safe bowl. Microwave for 30 seconds then mix the melted butter and Mars bars together. Microwave for another 10 seconds if the Mars bars need a bit more melting - the nougat part won't melt completely, don't worry about that! Add the coco pops to the melted Mars bars and butter, and mix until the coco pops are well coated. Put spoonfuls of mixture into the muffin tin, pressing down firmly to create a nest shape with a nice indent in the middle for your eggs. Shake some sprinkles onto each nest and put them in the fridge for half an hour. Once they are set, pop a few eggs in each nest! I gave my kids the recipe and then sat back and watched them create it… while also reliving my childhood and saying “just like a chocolate milkshake only crunchy” in a silly monkey voice, as my girls rolled their eyes and wondered what on earth was wrong with me. 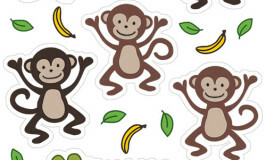 Coco the monkey has a new look these days, but coco pops taste exactly the same as they did back when I was a kid and boy did it bring back memories of school holidays when we were allowed them as a special treat. I think I might surprise my kids with a special treat these school holidays too. 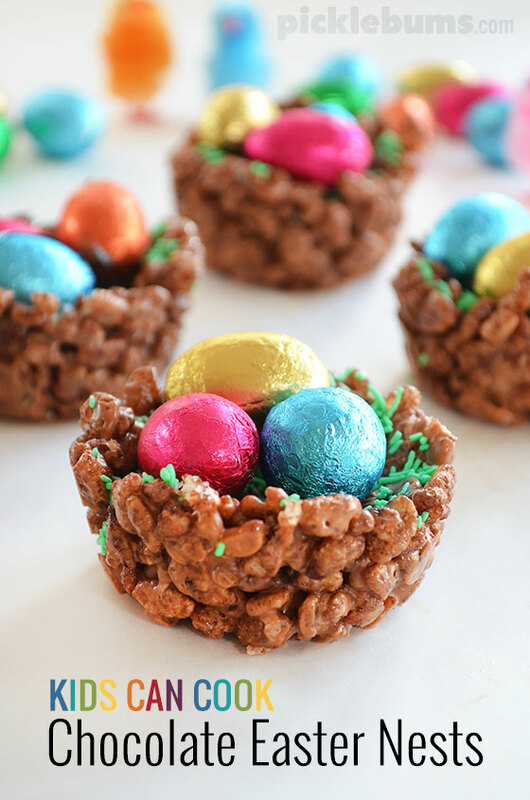 This fun recipe is so easy, and so quick, that the kids can make these chocolate Easter nests in a few minutes, and you never know, they might even clean up the mess! 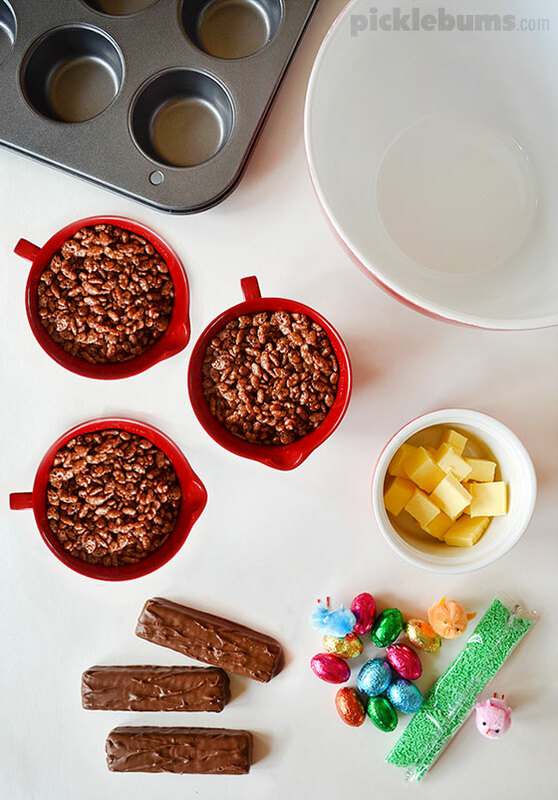 Do you have a favourite coco pops recipe? I’d love to collect some more, easy, coco pops recipes, leave a comment if you have a recipe you love. Just the recipe I need! I bought Coco Pops thinking (stupidly) that my girls liked them! When they screwed their noses up, I needed a recipe to use them up. Cue your egg nests!! Perfect for giving to friends and teachers at Easter. Bet my girls won’t be able to resist them either. These look so delicious and a real treat for the kids to make over Easter. Thanks!